I specialize in one thing: Real Estate Results, with an emphasis on Oceanfront properties. Oceanfront rentals, oceanfront sales, oceanfront community; the list goes on, and I know them inside and out. Shoot me a call, text, tweet, email (that list goes on, too!) if you’re curious. Attention to you, the customer. The small business model of The Hamptons Real Estate.com allows for maximum customer care and satisfaction, essentially making all of our clients exclusive. I do the Hamptons: The Hamlets and Villages of Westhampton Beach, Quogue, East Quogue, Westhampton Dunes, Westhampton, Southampton, East Hampton, Bridgehampton, Water Mill, Amagansett, Sag Harbor, and Remsenburg. I keep my finger on the pulse of the Hamptons Real Estate market. As of 2013, I can confidently say it is stronger and faster as it ever was. I feel giving back to our community is a top priority. I volunteer at the Westhampton Ambulance and a percentage of our commissions are donated to non-profit organizations, local and otherwise. 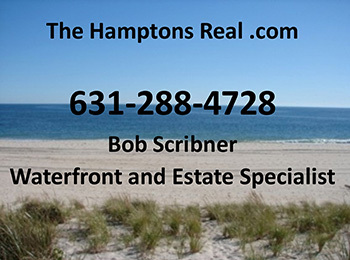 I know the market, the area, the people; I am a Hamptons Real Estate Agent Professional. I am well respected by my peers, and have developed invaluable working relationships with other professionals in my industry such as title companies, attorneys, lenders and appraisers. Let me do the work for you. Get in touch with me about what you would like to do (buy, sell, appraise, rent) and I promise you a personalized experience of results tailored to your needs.